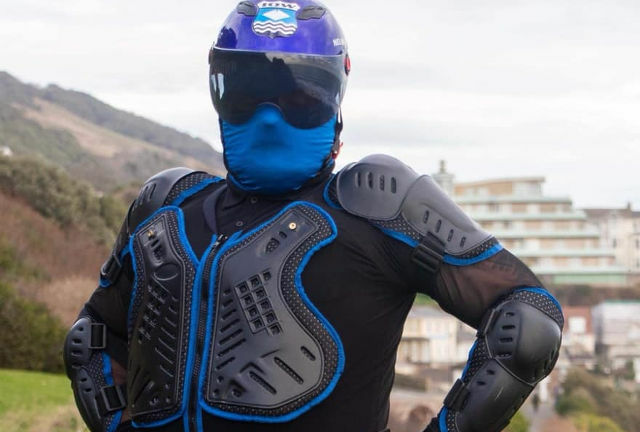 The Wight Knight says he’s not a crime fighter or vigilante, but a real life super hero who will patrol the streets of the Isle of Wight, “to make the Isle of Wight community a better, safer place to live and enjoy”. 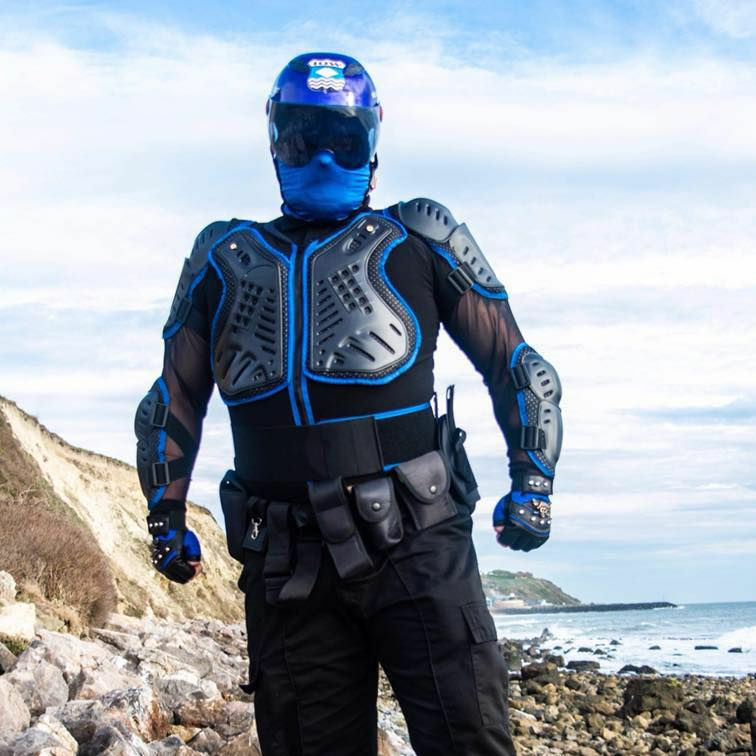 At the beginning of last month, a real life super hero (RLSH) for the Isle of Wight was revealed on social media. The Wight Knight launched himself on Facebook and Instagram revealing his costume and plans to patrol the streets of the Island. 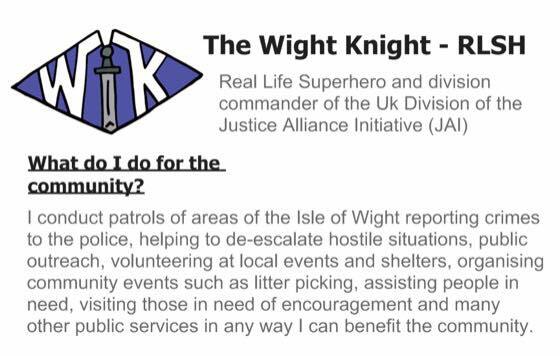 Just before Christmas the Wight Knight announced that he had become “Division Commander for the Justice Alliance Initiative UK Division” and planned on “working to make the Isle of Wight community a better, safer place to live and enjoy”. “I’ve always liked the idea of helping the community and I saw some photos of super hero cosplayers from the last Comic Con on the Island and wondered if there were people who dress up like that all the time. “I came across the RLSH (real life super hero movement) documentaries on YouTube, mostly in America, but some over here, in places like London and Liverpool. 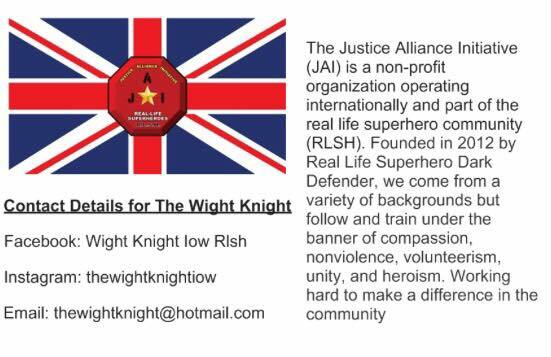 “I messaged an RLSH group called the Justice Alliance Initiative (JAI) who accepted me into their ranks and gave me an introduction to being an RLSH and have become a division commander for the UK. “I do not go out to fight crime or issue punishment on individuals. I only patrol to look for things I can report to the police and let the proper authorities deal with the legal detainment. “Went on patrol in town of Ventnor, spoke to several people including one lovely couple for five minutes who took a photo of me and Handed out four information cards. “Met Jack Charge Photography for a photoshoot around the cliff path to Steep Hill Cove and across the seafront, wonderful scenery. Jack is a Great photographer and great guy. 9 Comments on "Isle of Wight Comic Con inspires the Wight Knight (real life super hero)"
What’s that word Bob Seely is fond of using again??? How do you know it ISN’T Bob Seely? Thank you. That actually made me laugh out loud. Always a tonic! Whatever floats your boat. I should think small children and some adults will love him.